Massage therapy offers a natural conservative treatment approach that relieves musculoskeletal pain for many patients. The benefits of massage therapy may include increasing blood circulation, reducing swelling, relaxing muscles, relieving muscle pain and spasms, and aid in recovery and range of motion. Massage is also a great companion to chiropractic care, relaxing the muscles and fascia around the spine and joints to help the adjustments release and hold longer. We offer 1/2 hour and 1 hour sessions by appointment Monday through Friday during our business hours. 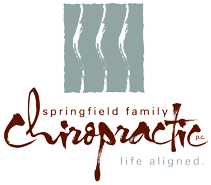 If you are interested in setting up a massage, please call the office at 610-544-6336.